Keep lunch and fresh snacks perfectly chilled in a freezable ice cooler bag that does the job without needing any extra ice packs. 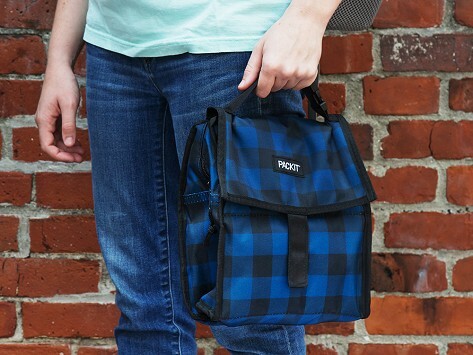 Freezable gel liner built into the fold-flat walls of the bag means it can go from the freezer to the office or cafeteria and keep food and drinks cool for hours. My daughter is using it to save, store and transport breast milk she needs to pump while working. just love it. One of the best purchases I bought this year.